A Christian based support ministry for women facing unplanned preganancies. Located in Salem but serving the surrounding NE Ohio area this ministry provides a medical clinic with licensed professionals who can provide quality care and counseling for women dealing with the difficulties of pregnancy. In 2016 GLC was able to provide $2,385.00 for this important service to local women. Hospice of the Valley is a non-profit organization which accepts patients regardless of their ability to pay for services. Hospice of the Valley has a Hospice House. It is located on 14 wooded acres with streams and wildlife, has 16 patient rooms on the lower level with garden views.There also is a family kitchen, a nondenominational chapel, bereavement center, family lounges, community gardens, walking paths and children's play area. In 2016 GLC was able to provide $1.765.00 for this end of life ministry. 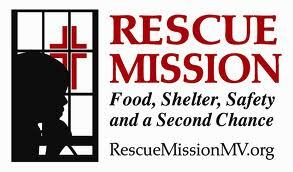 Greenford Lutheran is pleased to prayerfully and financially support the Rescue Mission of Mahoning Valley. Below is a description of their ministry as quoted from their website. To resurrect an old phrase, The Rescue Mission is much more than just “three hots and a cot.” While we do provide food and overnight shelter to the homeless and others in need, that is only the beginning of our work. Our goal is to help those who find themselves in difficult circumstances, regardless of how they got there, transform their lives and become independent and self-sustaining citizens again. To achieve this goal, we offer our clients guidance, education and job placement services within the Mission, as well as referrals to many additional programs in the community. The Rescue Mission is the only emergency shelter in Mahoning County delivering people from despair, helping them to find hope for tomorrow. We are non-discriminatory in our practices. The Mission provides goods and services to anyone seeking help. We help young mothers, fathers and couples with small children get past their physiological needs and teach them vital life and parenting skills. Purposeful case management sees to it that all of our clients get to the right agencies at the right time with the right information to better position them for positive reentry into the community. Rescue Mission of the Mahoning Valley accepts no government or United Way funding. Our work is funded entirely by generous individuals, businesses, churches and foundations. In 2016 GLC was able to provide $2, 315.00 for this important outreach. Greenford Lutheran is pleased to prayerfully and financially support the "3 C's ministries." This outreach ministry is comprised of several of the Christian congregations located within the South Range School District: Calla Community, Calvary United Methodist, Common Ground Presbyterian, Greenford Christian, Greenford Lutheran, Hope Lutheran, Locust Grove, Midway Mennonite, Mt. Olivet, North Lima Mennonite, and Paradise. This ministry is focused on helping families in need who live within the South Range School District. Volunteer efforts and financial donations go toward providing a food and clothing pantry (located @ Mt. Olivet) ministry, an annual school supply drive, a thanksgiving dinner ministry, and Christmas gift ministry. Financial assistance with rent and utilities is available if clients are willing to work with a case manager. In 2016 GLC was able to provide $2,075.00 for this local ministry.